Designs are completely bespoke and we use materials of the highest quality. These wedding signs make a real impact when your guests arrive, as they are slightly larger than A1 in size. 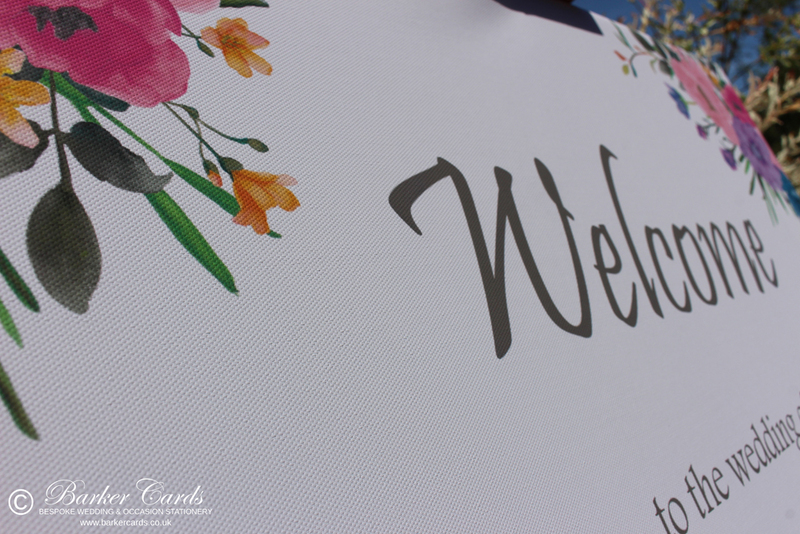 Wedding Welcome Signs may be personalised to your own theme. Personalisation includes all wording in your chosen style / colour, along with your choice of background image. Please contact us to discuss your individual requirements and to order. and to order using product code PWS01.